Olympia School District high school teams came out on top again at the second FIRST Tech Challenge (FTC) Olympia League Event on Saturday, December 7, at Olympia High School. Sixteen teams from Thurston, Mason and Gray’s Harbor Counties competed in this second of three League Events, which combined will determine these teams’ seeding at the Southern Washington Inter-League Championships on January 11, 2014 at Jefferson Middle School. 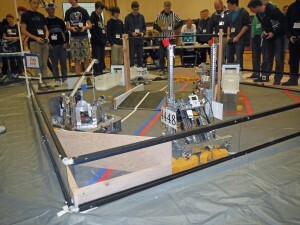 The third and final FTC Olympia League Event will be held Saturday, December 21 in Olympia High School Commons at 1:00. BGIP (team #4448) from Avanti High School topped the rankings in the second event with DERPA (team #7113) from Olympia High School placing second. Teams from North Thurston, Shelton and Tumwater placed third through fifth respectively. FTC Olympia Event #1 leader Oly Cow (team #6424) placed sixth and the Broken Motors from Capital High School (#7112) ended up Event #2 in ninth. Complete Event #2 results and team affiliations are shown below. In the cumulative results from the first two FTC Olympia League events, Avanti’s BGIP and Olympia’s DERPA and Oly Cow are ranked first, second and third respectively. 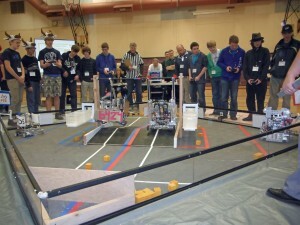 The Capital Gear Grinders (team #5061) from Capital High School are ranked seventh in the cumulative results. 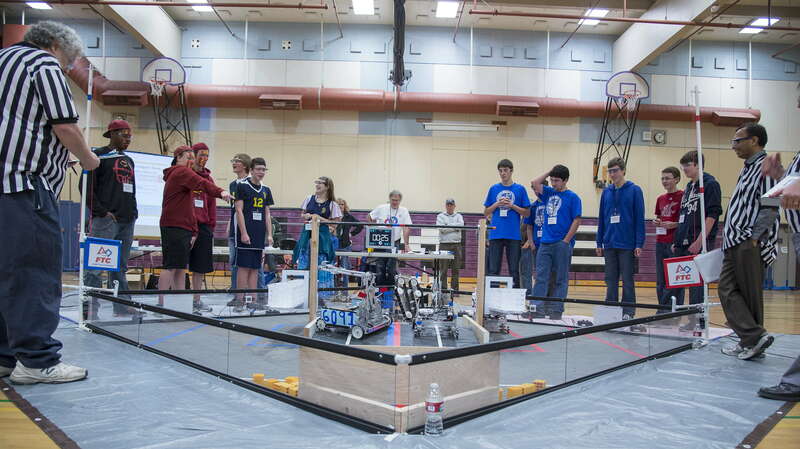 Rookie and veteran teams alike all showed great progress between the first and second FTC Olympia League Events, with the average score per match increasing from 77 points to 115 points in just two weeks. Teams now have another two weeks to further refine their robots before the third and final League Event on Saturday, December 21st at the Olympia High School Commons (rear parking lot). 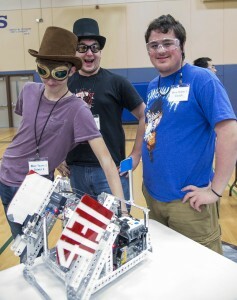 Admission is free, and the public is welcome to come and cheer on your favorite team in “Robotics as a Sport”. Matches will run 1:00 to 5:30 on Saturday afternoon. 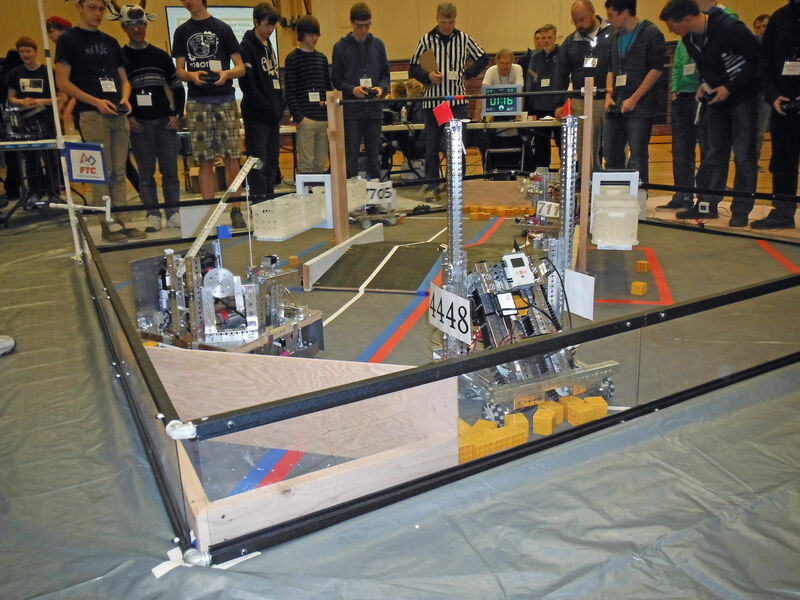 On January 11 2014, OSD will host the Southern Washington Inter-League Championships where the teams from the Olympia League will be joined by teams from the Vancouver/Portland area to determine which teams advance to the the State Championships. STEM Pals is looking for 60+ volunteers to help with this event. If you or someone you know would be interested in helping, check out this Volunteer Needs page for more information.